Compilation of information about Mr. Furutan: biography, in memoriam, photograph, and list of his books. See also Ali Akbar Furutan In Memoriam. by Barron Harper et al. The Hand of the Cause of God Mr. 'Ali-Akbar Furútan was born in Sabzivár, in the province of Khurásán, Iran on 29 April 1905. His father, Karbalá'í Muhammad-'AIiy-i-Sabzivárí, was a well-known Bahá'í and openly taught the Faith. He suffered great persecution from his own mother and wife, who were fanatical Muslims, as well as from everyone else in the city. This unpleasant situation continued until Muhammad-'Ali's wife accepted the Cause through a dream about 'Abdu'l-Bahá when her son was about four years old. Muhammad-'All's mother also became a believer. Mr Furútan spent his childhood years in Sabzivár and studied in a maktab (traditional school), learning reading and writing and studying the Qur'án. In 1904 the persecution of the Bahá'ís of Sabzivár grew intense and Muhammad-'Ali was condemned to death. Only the intervention of the leading mujtahid of the city, a relative, prevented his execution. By 1914 the persecutions had reached such a level that Muhammad- 'Ali determined to leave the city. His wife had a dream of the Master, who instructed the family to pioneer to 'Ishqábád. Thus the whole family left Sabzivár for Russia. The Bahá'ís of 'Ishqábád owned two schools in the vicinity of the Mashriqu'l-Adhkár, one for boys and the other for girls. Mr Furútan started his studies at the school for boys and, upon the completion of his elementary education, was asked by the school committee to teach the first grade when he was only 14 years old. He was engaged in this service for three years and then transferred to a Russian secondary school. Mr Furútan was very active in the Bahá'í community of 'Ishqábád. While still in secondary school he was appointed to the National Youth Committee, was elected its secretary and founded a news sheet for the youth. He was also the director of the Mahmúdiyyih Bahá'í library. He began to lecture at Bahá'í meetings whilst still a youth. In the summer of 1923 Mr Furútan was instructed by the Local Spiritual Assembly of 'Ishqábád to go on a trip to Baku, where he participated in some very successful teaching activities for three months. In 1925, after completing his high school studies, Mr Furútan was appointed principal of the two Bahá'í schools and the two Bahá'í kindergartens in 'Ishqábád. He won a scholarship to the University of Moscow and set out for Russia in 1926 to further his studies in education and child psychology. Teaching the Cause of God is possible under all circumstances, even through trade and commerce and through proper conduct, as it is said that goodly deeds and a praiseworthy character are in themselves the teachers of the Cause. Therefore, any individual, in whatever profession he may be engaged if he conduct himself in a praiseworthy manner and exemplify the human perfections, he will himself become the sign of the propagation of the Word of God and will hoist the banner of the glory of the Cause of God. Concerning the determination of your duty the Guardian stated that you should in no way be disturbed and distressed. If in all circumstances you resort and cling to the cord of consultation you will be confirmed in all your efforts. In all cases, you should refer to the Spiritual Assembly and act according to the wishes and approval of its respected and elected members. The beloved Guardian also remembered your parents and prayed for them. Mr Furútan then consulted with the Local Spiritual Assembly, which decided unanimously that he should continue his studies. In 1928 Mr Furútan was elected a member of the Local Spiritual Assembly of Moscow. He also taught Bahá'í classes for children and youth and gave Persian lessons. While he was in Russia Mr Furútan began the travels which would characterize his life. For example, in the summer of 1927 he went on a travel teaching trip to Qafqáz where he visited many friends and seekers in Baku, Gandzha and Tiflis. He visited the resting places of Leo Tolstoy in Yasnaya Polyana, of Tchaikovski in Leningrad (St Petersburg) and of Ivan Sergeevich Turgenev, a well-known Russian writer. He also went sight-seeing in Nizhni-Novgorod and Astrakan and journeyed to Arkhangelsk to observe the schools in that region as part of his academic studies. Your detailed report containing the news of Bahá'í activities in Russia, reached the eminent presence of the Guardian... The report was comprehensive and complete, and was acceptable in his sight. He expressed his favour and grace, and praised and admired your spirituality, radiance, perseverance, and devotion. It is certain that the manifestation of these divine sentiments... will increase your spiritual strength, will further your devotion, Will bring joy and happiness to your heart and soul, and that the afflictions and sorrows which you have encountered will be removed and forgotten. Be not disturbed and saddened by the current difficulties, the present situation in that region will not last for ever. What will remain and persist will be the institutions which the friends have established in that land. Patience and endurance are needed. He will indeed aid the weak through the power of His might, and help His loved ones with the exalted angels of His most glorious Kingdom. In April 1930 Mr Furútan attended the Bahá'í convention in Tihrán. The delegates decided that he should either stay in Tihrán and become an employee of the government or go to the province of Adharbáyján as a travelling teacher. He chose the latter. A few days later he left for Tabriz and on arrival immediately began to hold firesides, children's classes and classes for Bahá'í women. In 1931 Mr Furútan married 'Atá'iyyih (Ataieh) Khánum, who was from a prominent Bahá'í family. Later that same year Effie Baker arrived in Adharbáyján, on the instructions of the Guardian, to photograph its historical sites for The Dawn-Breakers. Mr Furútan and his wife accompanied her to Saysán, a small village near Tabriz. They discovered that despite its large Bahá'í community, Saysán did not have a Bahá'í school. The Furútans sought the permission of the Guardian to move to the village to establish a school. He approved their plans, showering them with loving encouragement and appreciation. Mr Furútan and his wife were making the necessary preparations for their move to Saysán when Mr Furútan received a telegram from the Local Spiritual Assembly of Tihrán asking him to come to the capital immediately. Despite the harsh winter and the difficult road conditions, he managed to get to Tihrán to meet with the Assembly. The Assembly told him that he had been appointed principal of the Tarbíyat school for boys. Mr Furútan explained that the Guardian had already approved his plans to go to Saysán and the Assembly therefore postponed the appointment. In 1934 the first National Spiritual Assembly of Iran was elected. Mr Furútan, attending the convention as a delegate from Adharbáyján, was elected to the Assembly. He served as its secretary for 24 years. In the same year, on the instructions of Shoghi Effendi, Mr Furútan took up the position of principal of the Tarbíyat School, replacing Mr 'Azízu'lláh Misbáh, a well-known scholar and writer. When the school refused to stay open for a Bahá'í holy day in December 1934, the Ministry of Education closed it and all other Bahá'í schools in the country permanently. Early in 1941 Mr Furútan, accompanied by his wife, mother and eight-year-old daughter, made his first pilgrimage to the Holy Land, where he spent 23 delightful days. Shoghi Effendi said to him, 'You are the secretary of both the National and Local Spiritual Assemblies. The affairs of the National Spiritual Assembly are conducted in a very organized manner, and I testify to your work. Your services are now local and national, and they will be international in the future.382. During the next ten years, Mr Furútan undertook a number of activities, in addition to his services as secretary of the National Assembly. In 1946 he was invited by the Iranian Radio and Broadcasting Service to give a series of lectures on child psychology and education. The programme was cancelled after six months at the instigation of the mullás, although in later years the text of the talks was published with the permission of the Ministry of Education as Májmú'ih Risálát Tarbíyati (Essays on Education). In 1950 Mr Furútan wrote an article for the Bahá'í News commemorating the hundredth anniversary of the Martyrdom of the Báb. And always he encouraged the believers, visiting numerous communities. In December 1951 Mr Furútan was appointed a Hand of the Cause of God. This marked, he later wrote, a 'momentous transformation' in his 'spiritual life'.383 One of his first tasks was to encourage the Iranian Bahá'ís to contribute towards the cost of the building of the Shrine of the Báb. In 1953, at the beginning of the Ten Year Crusade, Mr Furútan embarked on the international services Shoghi Effendi had foreseen for him. He attended all the Intercontinental Teaching Conferences - at Kampala, Chicago, Stockholm and New Delhi. Among the highlights of these travels was the dedication of the Mother Temple of the West in Wilmette. At the end of the New Delhi Conference, Shoghi Effendi instructed him to journey to Australia and New Zealand. He spent one year travelling, visiting 16 countries in Australasia, North America and Europe. This journey was one of his longest travel teaching trips. In 1954 he went on a second pilgrimage to the Holy Land. On the instructions of Shoghi Effendi, he returned to Iran and visited all the major towns and Bahá'í centres in the country. In 1955 a wave of severe persecution of the Bahá'ís began in Iran, resulting in the seizure of the Haziratu'l-Quds of Tihrán, anti-Bahá'í disturbances across the country and the killing of seven Bahá'ís in Hurmuzak. Mr Furútan, acting on behalf of the National Spiritual Assembly of Iran, sent many petitions to the government in an attempt to halt the persecution. In 1956, on the instructions of Shoghi Effendi, Mr Furútan travelled to Turkey to visit and encourage the Bahá'ís. In 1957 he set out for Indonesia to represent the Guardian at the Convention in Jakarta which was to elect the first Regional Spiritual Assembly of South-East Asia, one of 16 new National and Regional Spiritual Assemblies to be formed in 1956 and 1957. On the morning of 5 November 1957 Mr Furútan received a cable from Amatu'l-Bahá Rúhíyyih Khánum which, he later wrote, 'violently shook the core of my being and benumbed me':384 the Guardian had passed away in London the day before. Needing consolation himself, Mr Furútan did not attend the Guardian's funeral but rather remained in Tihrán, at the request of the National Spiritual Assembly of Iran, to support the friends and to attend the many memorial gatherings. The security of our precious Faith, the preservation of the spiritual health of the Bahá'í communities, the vitality of the Faith of its individual members... the fulfilment of its ultimate destiny, all are directly dependent upon the befitting discharge of the weighty responsibilities now resting upon the members of these two institutions [the Hands of the Cause of God and the National Spiritual Assemblies].385. On 18 November 1957 Mr Furútan joined his fellow Hands in Haifa for their first Conclave. He was among the nine Hands appointed to serve at the Bahá'í World Centre. Thus he and his wife left Tihrán to settle in Haifa. The following year the Hands of the Cause made the decision that the Universal House of justice would be elected in 1963. Over the next few years Mr Furútan visited Turkey, participated in the ceremony to lay the foundation stone of the Mother Temple of Europe, attended the first National Conventions of Brazil and Uruguay, and visited various communities in the British Isles. Following the election of the Universal House of Justice Mr Furútan stayed in Haifa, serving as one of the Hands of the Cause resident in the Holy Land. 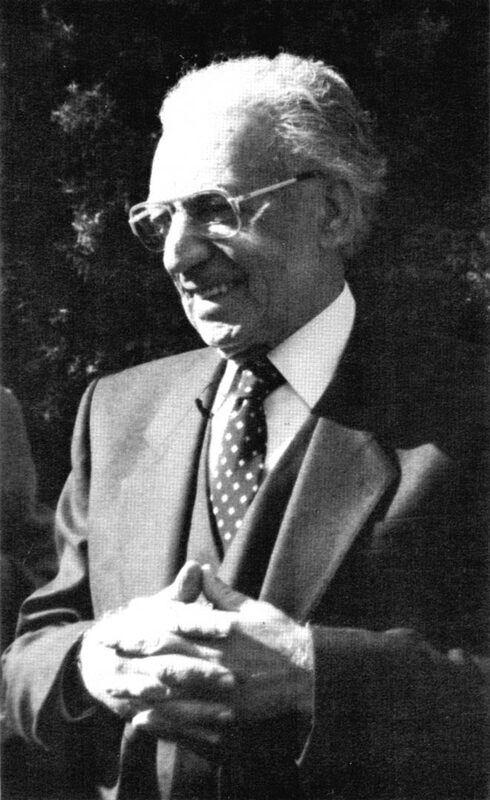 In 1965 Mr Furútan was asked by the Universal House of justice to visit Turkey and Iran to encourage the Bahá'ís to fulfil the goals of the Nine Year Plan. Later he passed through India, where he visited important centres and met with the country's Vice-President and the Minister of Education. In 1967 six Intercontinental Conferences were held in different parts of the world in honour of the centenary of Bahá'u'lláh's proclamation to the kings and rulers. The Universal House of Justice appointed Mr Furútan to represent it at the conference in Kampala. Before leaving for Uganda Mr Furútan and the other five Hands representing the Universal House of Justice prayed together at the holy shrines then departed for Turkey, where they offered prayers at the House of Bahá'u'lláh in Edirne before dispersing to their different destinations. Elsewhere he spoke of the bounty of recognizing Bahá'u'lláh, saying that we do not yet realize our good fortune. While we cannot realize the glory and majesty of Bahá'u'lláh, we can strive to obey Him and to teach His Cause. He said that the believers are few in number but what matters more than quantity is quality. We must teach, he said, according to the example set by 'Abdu'l-Bahá, which is to provide the healing message of Bahá'u'lláh according to the needs and beliefs of our listeners. Otherwise, the remedy we offer is like a prescription without an examination. Assistance of the Supreme Concourse, he concluded, will come through our prayers, devotion and willingness to serve. Mr Furútan's travels in subsequent years were extensive and, as the Guardian had hoped, truly international in scope. His most cherished trip was his return to the Soviet Union in April 1990, where, following the collapse of Communism, Mr Furútan was able to return to many of the scenes of his youth, as the Guardian had promised. On this journey he visited the Bahá'ís in eight cities across four Republics from the south to the north and attended the convention for the re-election of the Local Spiritual Assembly of Moscow which had lapsed more than fifty years before. In 1991 he again visited Moscow to represent the Universal House of Justice at the election of the National Spiritual Assembly of the Soviet Union. In 1992 he travelled to Tallin and Budapest to represent the Universal House of Justice at the first national conventions of the Baltic Republics and of Hungary. Mr Furútan speaks five languages and has published many works on child education. Among his books are Principles of Education, Scientific Essays, A Glimpse of History and The Story of My Heart. His popular book Mothers, Fathers and Children is a translation of Essays on Education and in 1991 was published in Russian. He has also compiled Stories of Bahá'u'lláh.. According to the rules of psychology, a person's beliefs and thoughts form the principal foundation of his behaviour and conduct - meaning that his outward actions are the manifestations of his beliefs. Therefore, it is incumbent upon every believer to learn that which the Manifestation of God has urged him to do, and that which He has forbidden. To understand and realize this objective I have always pondered on two verses from the Kitáb-i-Aqdas - both when I was a young student at the University of Moscow surrounded by atheists and agnostics, and now that I have entered old age. Recite ye the verses of God every morn and eventide. Whoso faileth to recite them hath not been faithful to the Covenant of God and His Testament, and whoso turneth away from these holy verses in this Day is of those who throughout eternity have turned away from God... (Kitáb-i-Aqdas, para. 149). Notes 379. Quoted in Furútan, Story of My Heart, pp. 22-3, as revised by Mr. Furútan in his review of this essay. 380. Cited in ibid. pp. 37-8 as revised by Mr. Furútan in his review of this essay. 381. Cited in ibid. pp. 44-5 as revised by Mr. Furútan in his review of this essay. 385. Shoghi Effendi, Messages to the Bahá'í World, p. 123. 387. Furútan, Story of My Heart, p. 142. 389. Letter to the author. 390. Bahá'í World 1993-4, p. 81.. In Memoriam, from the Universal House of Justice (see complete document). Born in Sabzivar, Iran, on 29 April 1905, 'Ali Akbar Furútan moved with his family to 'Ishqabad in what was then Russian Turkestan, and, through his years of school and university, he took an active part in the work of the Bahá'í communities of 'Ishqabad, Baku, Moscow and other parts of Russia. In 1930 he was expelled from the Soviet Union for his involvement in Bahá'í activities and, from that time on, played an ever more significant role in the work and administration of the Iranian Bahá'í community. In December 1951 he was among the first to be appointed by Shoghi Effendi as Hands of the Cause of God. Following the passing of the Guardian, he was one of the nine Hands of the Cause selected, at their first Conclave, to serve as Custodians in the Holy Land. For the remaining forty-six years of his life he laboured strenuously at the World Centre, undertaking journeys throughout the world, assisting, advising and enthusing the friends and their national and local institutions. These journeys culminated in 1990 and 1991 with visits to the newly re-emerging Bahá'í communities of the countries of the Soviet Union. 'Ali Akbar Furútan's single-minded devotion to the Faith and its Guardian, the vital role he played in the establishment of the Administrative Order in Iran, his contribution to the spiritual and material education of children, his services as a Hand of the Cause of God, and his unswerving support of the Universal House of Justice together constitute an imperishable record of service in the annals of the Cause. His penetrating mind, his loving concern and his sparkling humour are ineffaceable memories in the hearts of the thousands of believers with whom he spoke. 1970. An essay providing rational and scientific evidence for the immortality of the soul. 1980. A 'how-to' book for parents. The writings bears the marks of the Persian culture to which it was originlaly addressed but provides many valuable suggestions. Caught up in the hustle and bustle of daily life, parents often cannot spend as much time with their children as they would like. This is a helpful book on rearing children according to Bahá'í principles while coping with daily challenges. 1986. An inspiring collection of remembrances told by a well-loved Hand of the Cause of God. 144 touching vignettes describe Bahá'u'lláh's time in Iran, Baghdad, Constantinople, Adrianople, Akka and Bahji. 1984. Autobiography of the Hand of the Cause. The early chapters on Furútan's life in the Iranian and Turkistan Bahá'í communities are the book's chief interest. Later chapters are a catalogue of places and topics of talks. 1994. The book covers the principles, writings and history of the faith for the Iranian youth who live outside Iran. 1985. A collection of articles on seven topics about Prophets, Their Holy books, and how Prophets face enemies. Based on teachings from the Sacred Writings. 1992. A compilation from the writings regarding the Arabic language, and why the Kitab-i-Aqdas was revealed in Arabic although Bahá'u'lláh was from Iran. This booklet was written in celebration of the 100th anniversary of the passing of Bahá'u'lláh. Its focus is on Tehran, the "Land of Ta," and that city's future. Because it is the birthplace of both Bahá'u'lláh and the Bab, it is believed to have special blessings and will be recognized as the "eye" of the world. 1985. The book is about the word 'history.' It talks about history in general and its relation to events, including the history of a country, of a person, and the philosophy of history. Bahá'í education of children is one of the most important lines of action for the consolidation of Bahá'í communities. Through children's education, the whole community can gradually be transformed. Observing the great need for a systematic approach to this task, some 50 years ago Hand of the Cause of God Ali-Akbar Furutan developed a set of 6 books for the Bahá'í education of children. The books were written in the Persian language for use in the Bahá'í communities in Iran (Persia) and were known as the Kitab-i-Dars-i-Akhlagh (Books for Moral Education). The set includes 6 books for children aged 5 to 16-18 and a Teacher's Manual on the principles of Bahá'í education.